House Danford came into power when Daerunt Danford was named Commander of the Royal Knights to King Pedigran Lagrest. When Pedigran called for the genocide of all mages in Ruinous starting the War of Extermination, Daerunt rallied many of the noble houses and had them to agree to kill Pedigran and usurp the throne. Many lords wanted to rally their armies and march on Stallworth, but Daerunt insisted that he could end the war with minimal blood shed. Daerunt, who had secretly been a mage himself, exterminated Pedigran and the entire Lagrest house, taking the throne for himself. 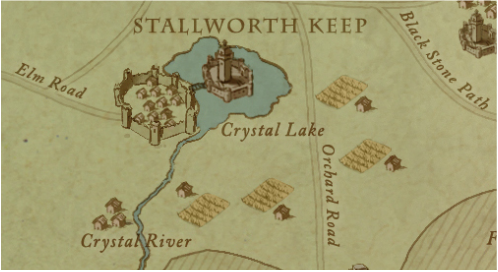 He took for his sigil the crown and his seat of power is Stallworth, the former seat of House Lagrest. For his words he took "Wisdom and Courage" because it takes a brave man to stand against a tyrant and wise man to avoid bloodshed.